Since Hitman 2’s announcement, IO Interactive has consistently provided details about what to expect from the sequel. In various trailers and “how to” videos, its various gameplay upgrades have been touted as bold steps forward for the long-running franchise. Thanks to a newly released trailer, these bits of information are all packed into one video. Watch the Hitman Perfected video below to get a look at what the sequel’s coming release entails. The trailer shows off each of Hitman 2’s locations, which range from the beaches of New Zealand to India’s bustling city of Mumbai. Brief glimpses are also awarded to features such as Ghost Mode, the revolutionary AI, and Sniper Assassin. However, in the interest of time, many other additions fail to receive the spotlight, merely appearing listed on-screen near the trailer’s end. Some of these details seem to solely relate to IO Interactive’s post-launch plans. 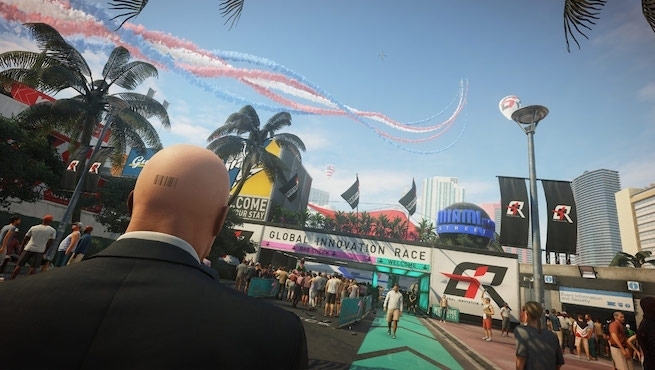 Therefore, players should also expect the following from Hitman 2 at launch and after its release: Escalation Contracts, Blood Money Requiem Pack, Holiday-Themed Content, Season 1 Briefcase, New Maps for Ghost Mode, Season 1 Upgrades, Predator-Themed Challenge Pack, and New Levels for Sniper Assassin. Agent 47 returns for a new set of high-profile adventures on November 13, 2018. For fans that own Hitman’s 2016 release, the upgrades to Season 1 missions will be available for free. Those who don’t own the first game must purchase the Hitman Legacy Pack DLC to gain access to the updated content. As of now, pricing for the DLC pack hasn’t been revealed.